In an attempt by the Sudanese authorities to prevent the commemoration ceremonies for the victims of the 2013 September protests, planned in Khartoum, security forces detained a large number of political activists and opposition leaders. International organisations have called upon the UN Human Rights Council, meeting this month, to condemn the killings in September last year, and press Sudan to independently investigate the violence. Today is exactly one year ago that security forces opened fire on peaceful demonstrators in Sudan, who went to the streets in protests against the lifting of fuel subsidies. More than 200 demonstrators in Khartoum died of bullet wounds in their ######### and chests. Abubakar Yousef, the spokesman for the Sudanese Congress Party (SCP), told Radio Dabanga that security forces on Monday raided the homes of SCP activists, including Mohamed Alim Bushi and Majdi Okasha in Khartoum. On Sunday, Khaled Saad, and Azhari El Haj were detained for a short period. They were interrogated about the standpoint of the party about the victims of the 2013 September demonstrations. 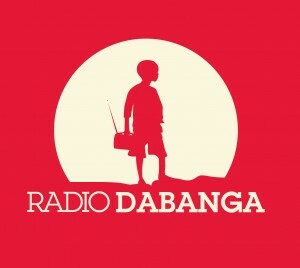 Yesterday, Radio Dabanga reported that security agents detained Khalid Ahmed, Mohamed Abdel Monim El Tom, and Igbal Abdallah, youth members of the National Consensus Forces (NCF, a coalition of opposition parties) on Saturday evening. The activists were held at a printing house in Khartoum, where they were preparing leaflets for the commemoration ceremony, organized by the NCF. They were deported to an unknown destination. The UN Human Rights Council (UNHRC) holds its 27th session in Geneva, Switzerland, from 8-26 September. The Human Rights Watch organisation (HRW) has stressed that the victims of the government forces' violence against the demonstrators last year are still waiting for justice, a year later. “The UN should make clear to Sudan that unless it acts immediately to bring justice for the 2013 killings, regional or international investigators need to take over the job,” Daniel Beleke, the Africa Director of HRW, said in a press release published online today. The UN Human Rights Council should condemn the killing of protesters, and press the Sudanese government to support an independent investigation into this violence, and prosecute those responsible, HRW writes. The African Centre for Justice and Peace Studies also wishes the council to take a strong position to condemn Sudan. “Impunity cannot be accepted,” Katherine Perks, Programme Director, said on Monday.